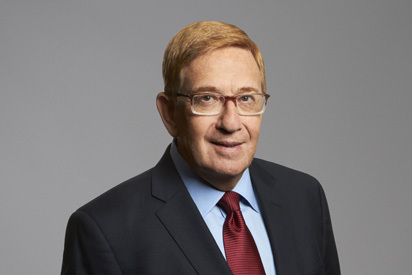 Barry S. Pearlman, who founded Pearlman, Borska & Wax with a loan from his parents, started the firm as a sole practitioner in May of 1984, specializing in employment litigation and workers' compensation. In addition to maintaining a full case load, he is the managing partner of the firm. Barry specializes in the litigation of complicated employment law and workers' compensation defense matters, representing employers, insurance carriers and third party administrators. Barry also manages the firm's "sport teams" unit, defending NFL, NHL and other teams for claims made in California. He is also recognized as an expert on coverage issues involving employment litigation and workers' compensation coverage. He is exclusive counsel on LC132a discrimination claims and Serious and Willful Misconduct claims for a multinational employer. He is an experienced litigator with numerous successes before the Workers' Compensation Appeals Board and the Appellate and Superior Courts of the State of California. As a respected member of the Employment Law and Workers' Compensation communities, Barry is a frequent lecturer, speaker and instructor on current trends in procedure, law and strategy. His comprehensive approach in preventing claims has made him a popular speaker nationally to employers and insurance carriers. In recognition of his contributions and achievements in the field, Barry has been the recipient of the Warren H. Hanna Life Time Achievement Award and the Most Influential People in California Workers' Compensation Award. He is AV rated by Martindale-Hubbell and has been selected as a Super Lawyer by Los Angeles Magazine for multiple years. Out of his commitment to the legal procession, Barry has for over 10 years served as an Arbitrator for the State Bar of California. He has served on the Governors Workers' Compensation Community Task Force and the Administrative Director's Committees on Permanent Disability and Medical Provider Networks. Barry is a certified provider for continuing education by the Division of Workers' Compensation Medical Unit and the California Department of Insurance. Elliot F. Borska is a partner at Pearlman, Borska & Wax, and has been practicing workers' compensation law in California since 1987. He is the managing attorney of the Glendale office of Pearlman, Borska & Wax. While earning his undergraduate degree in Washington, D.C., Elliot interned for New Jersey Congressman J.J. Marriziti. He attended the Watergate hearings and reviewed congressional reports after each hearing and reported to the congressman. While obtaining his masters degree in criminal justice, Elliot held a variety of jobs including tour guide at the Los Angeles Zoo and dispatcher for Cal State University of Long Beach Police. 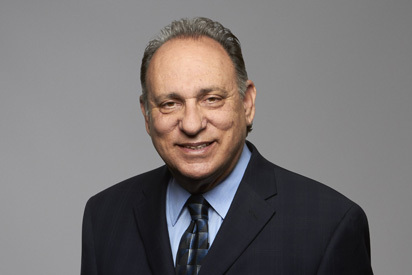 Prior to joining Barry Pearlman as his partner in November of 1987, Elliot was co-counsel in the test case regarding the Big Rock, Malibu, landslide litigation representing the Los Angeles County Waterworks District Number 29. In addition, Elliot worked with County of Los Angeles County Counsel and represented the interests of the Los Angeles County Deputy Sheriffs in punitive damage cases. Elliot represents a wide variety of insurance carriers and employers throughout the State of California. He prides himself on his abilities, professionalism and integrity. Elliot enjoys all local sporting events and teams. He is an avid reader and enjoys a wide variety of music and is very proud of the success of his two children. -B.A., American University, Washington, D.C.
Steven H. Wax, a partner with the California firm of Pearlman, Borska & Wax, has been practicing exclusively in the area of workers' compensation defense since 1976. An acknowledged expert in his field, Steve represents employers and insurance carriers in high exposure cases involving exotic diseases, chemical exposure, chronic pain, fraud, disability retirement and "carve outs." Steve has been honored by the State Bar of California for being a Certified Specialist in Workers' Compensation for more than 25 years, and he has been selected by Los Angeles Magazine as one of the "Super Lawyers" of Los Angeles. Within the firm, he is the creator of PB&W University, an in-house training program for staff attorneys and paralegals. Keeping the client satisfied is Steve's top priority. Early in his career, as house counsel for a national insurance company, Steve worked alongside claims adjusters learning the importance of communication, a team approach and protecting the client from the unexpected. Steve still sees the practice of law as an adventure where creativity and persistence can make a difference. 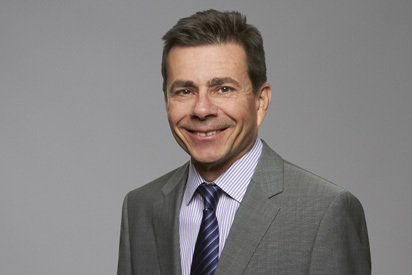 Dean S. Brown is an equity owner and partner at the Law Offices of Pearlman, Borska & Wax, where he specializes in the defense of workers' compensation claims, Serious & Willful misconduct claims and claimed violations of California Labor Code 132a. He has extensive experience in the workers' compensation arena and also handles issues related to employment law, Defense Base Act claims, ADA and FEHA. He has been practicing in this area of law since 1990. Dean has a wide array of clients comprised of school districts, international manufacturers, temporary employment agencies, the freight industry, the petroleum industry, public entities, the aerospace industry, grocers, the field of professional sports, and many other employers and insurance carriers. Dean is an aggressive litigator. He specializes in high exposure and complex claims for his clients. He has a great affinity for the art of the cross-examination of expert witnesses, including physicians and future earning capacity experts. He prides himself in being able to obtain the best possible results, whether it be placing himself in a position for the best possible settlement, or obtaining a Findings and Award in a Trial. He regularly provides educational seminars to insurance companies, third party administrators, and self-insured employers in the general workers' compensation community on a wide range of topics. Dean has been a lecturer for the California Workers' Compensation Defense Attorney's Association, California Applicant's Attorney's Association, Counsel & Education in Management and many other organizations. Dean is a Board-Certified Specialist in Workers' Compensation under the auspices of the State Bar of California and the California Board of Legal Specialization and has been selected as a Los Angeles "Super Lawyer" by Los Angeles Magazine. 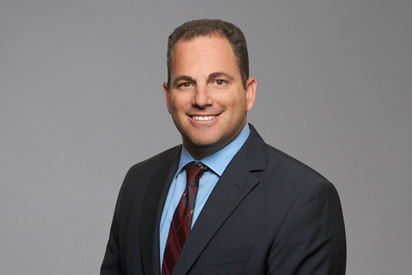 Neil D. Schwartz is a partner with Pearlman, Borska & Wax who joined the firm in 1997 and specializes in the defense of workers' compensation claims. 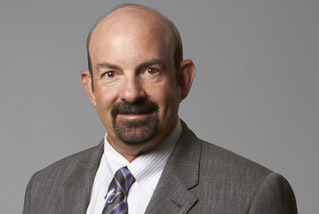 Neil has practiced in the area of workers' compensation for more than thirty years and has vast appellate experience. His victory in Six Flags, Inc. v. WCAB, (2006) 145 Cal. App. 4th 91 has been heralded as one of the most significant decisions of 2006, resulting in a savings of millions of dollars for the California business community. The Second District Court of Appeal granted Neil's Petition for Writ of Review and held as unconstitutional the death benefit provision of Labor Code Section 4702(a)(6)(b). While in law school at the University of West Los Angeles, Neil served as Associate Editor of The Law Review. 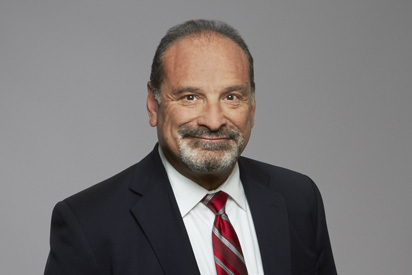 He has since served as an arbitrator for the American Arbitration Association and the Los Angeles County Superior Court and as Judge Pro Tempore of the Workers' Compensation Appeals Board. Neil is a former Trustee of the Los Angeles County Law Library and a frequent lecturer in the area of California workers' compensation law. Neil has been selected by Los Angeles Magazine as one of the "Super Lawyers" of Los Angeles for the years 2008-2011. Yvonne E. Lang is a partner with Pearlman, Borska & Wax specializing in defense of workers' compensation claims. She is the managing attorney of the Oxnard office of Pearlman, Borska & Wax. She is an experienced trial attorney and has successfully litigated complex issues before the Workers' Compensation Appeals Board, specializing in municipalities, school districts, public entities and large self-insureds. During her claims career Yvonne earned her self-insured administrators certificate, WCCP designation and her CPDM, as well as achieving the designation of State Bar of California Certified Specialist in Worker's Compensation. She was awarded a certificate of appreciation by the Division of Workers' Compensation for her efforts as an EAMS "train the trainer" on behalf of the Division of Workers' Compensation throughout California. Customer service is Yvonne's "middle name" and has been since she was a claims examiner with several national insurance companies and self-insured administrators. Yvonne prides herself on her communication skills and enjoys working with her employers, claims administrators and staff to shield them from overreaching applicants and their attorneys. In Yvonne's everyday practice she tries to learn something new, impart some knowledge and attempt to make a difference in the world of California workers' compensation one case at a time. Rudy R. Grob, a partner with Pearlman, Borska & Wax, has been practicing exclusively in the area of workers' compensation defense since 1992. Rudy represents self-insured employers, insurance carriers, and third party administrators in all types of matters, including death claims, 132a claims, and fraud claims. Rudy's main priority is to keep the client's claims moving forward towards settlement or trial as promptly as possible. Rudy prides himself on conducting effective cross-examination of physicians, taking the position that a successful cross-examination is the equivalent of a successful trial, as the outcome of a case is, in large part, decided by the opinions of the physicians. Rudy's interests outside of his profession include practicing Brazilian Jiu Jitsu and refereeing at soccer tournaments. Rudy believes that fifteen years of disciplined practice of martial arts has made him more disciplined as a workers' compensation defense attorney as well. Jeffrey S. Stern, a partner with Pearlman, Borska & Wax, specializes in the defense of workers' compensation claims, serious and willful misconduct claims, and claims brought pursuant to California Labor Code 132a. Jeffrey graduated from California State University, Northridge, in 1976 with a degree in political science. He attended the University of Chicago before enrolling at Loyola University of Los Angeles. Jeffrey is an accomplished civil litigator with numerous jury verdicts to his credit. A number of his verdicts were highlighted in a Verdicts magazine profile. Jeffrey is an arbitrator and mediator for the Los Angeles County Superior Court system. He lectures to insurance carriers, self-insured employers, and public interest groups. As a member of the Board of the Workers' Compensation Section of the San Fernando Valley Bar Association, he is instrumental in organizing and coordinating monthly lectures for the legal community. Outside of the office, Jeffrey serves as President of Temple Ramat Zion in Northridge, and enjoys spending time with his wife, Bonnie, and their daughters Bridget and Katherine. He also enjoys cycling (having completed the Death Ride and other centuries), running (half marathons are a specialty), wine collecting (no burgundies) and grilled cheese (gruyere is a favorite). Noel A. Olins, a partner with Pearlman, Borska & Wax, has been practicing in the area of workers' compensation defense since 2002. Noel represents a wide array of employers and insurance carriers in the defense of workers' compensation claims, Labor Code Section 132a and serious and willful claims. Noel is an aggressive litigator who prides himself on getting good results for his clients. Noel enjoys spending time with his wife and son. He enjoys camping, snow skiing, mountain biking, golfing and riding ATVs in the Southern California deserts and mountains. David B. Alpern is a senior associate with Pearlman, Borska & Wax. David has specialized since 2003 in litigating California Workers' Compensation cases. He is experienced in complex jurisdictional matters, NFL cases, as well as police officer and firefighter cases. While at law school, David was President of the Hastings Jewish Law Students Association. In addition, he volunteered time to work on Holocaust litigation cases. In his leisure time, David enjoys traveling and scuba diving. Gary Paul Andre' is a senior associate with Pearlman, Borska & Wax. He specializes in all aspects of workers' compensation law. He has been defending employers, insurance carriers and third party administrators throughout the State of California since 1987. In addition to defending the NHL, NFL, NBA, WNBA, Major League Baseball, Major League Soccer and the Harlem Globetrotters, Mr. Andr has played and coached youth ice hockey teams for six decades.This unique experience provides insight in defending professional sports claims that include complex multi-party and multi-jurisdictional issues. Mr. Andre' has also successfully represented employers in a wide variety of third party civil subrogation matters, Serious & Willful and Labor Code Section 132a Petitions, as well as alternative dispute resolution procedures, including mediation and arbitration. He has been a volunteer Pro Tem Judge at the Santa Monica WCAB. Karinneh Aslanian, a senior associate with Pearlman, Borska & Wax, has been practicing exclusively in the area of workers' compensation defense since 2001. A certified specialist in the field, Karinneh represents employers and insurance carriers in all types of cases involving work related diseases, injuries, chronic pain, fraud, discrimination and subrogation. Karinneh's top priority is the client's satisfaction with her case handling, litigating a file and reaching good results for her clients. Early in her career, she was involved with a two year investigation of medical fraud. She has worked alongside claims adjusters, learning the importance of communication, a team approach and assisting the client with all aspects of litigation, including establishing relationships with employers. She is a fierce competitor who sees the practice of law as a challenge and enjoys the art of litigation, yet she never loses sight of her client's goals. -While in law school interned for Judge Jerold S. Cohn of the Van Nuys Workers' Compensation Appeals Board. In her leisure time, Karinneh likes to travel, read, go to the beach, play sports, play poker and do challenging crossword puzzles. She also enjoys spending time with her family, friends, and her dogs. Ani Baghdassarian, an associate with Pearlman, Borska & Wax, began her career in the Workers' Compensation industry in 2004 with a major Workers' Compensation insurance company. Ani worked as a senior claims adjuster until 2011, having earned her Claim Examiner Certificate and WCCA Designation. Ani specializes in the defense of workers' compensation claims, always making the client's satisfaction her top priority. Ani graduated from Ventura College of Law, where she participated in Moot Court and the Student Bar Association. -Her hobbies include watching and playing sports, music and reading. 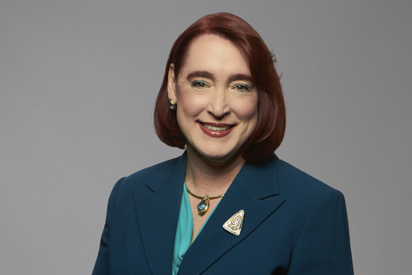 Maureen T. Blair is a senior associate at Pearlman, Borska & Wax. She has litigated cases from inception to trial and appeal, with a focus on settling cases as quickly as possible. In her leisure time, Maureen enjoys being a mom, world travel and fine dining. Justin Borska is an associate attorney with Pearlman, Borska & Wax. Justin's practice focuses on all aspects of Workers' Compensation claims, including Labor Code Section 132(a) and Serious and Willful claims. While in law school, Justin received the Witkin Award for Academic Excellence. In addition he was chosen to participate in the National Moot Court Competition. In his free time, Justin enjoys traveling and playing the piano. Jack M. Cohen has been a senior associate with Pearlman, Borska & Wax since 2008. Previously, he was a partner in the law firms of Bagby, Cohen & Gannam from 1983 to 1988 and Cohen & Gannam from 1988 to 2000. He was a sole practitioner from 2000 to 2008 and has specialized in workers' compensation defense in all three law firms. Jack has been a certified specialist in workers' compensation since 1983 and has represented self-insured employers, public agencies and insurance companies. He has acted as a Judge Pro Tempore, has served as an arbitrator, and has been recognized by his peers by being named a "Super Lawyer" in Los Angeles Magazine every year since 2006. In addition to handling the defense of workers' compensation cases, he has represented employers in serious and willful, discrimination, subrogation and alternative dispute resolution matters. He has also presented programs to supervisors and managers on the interrelationship of these issues. 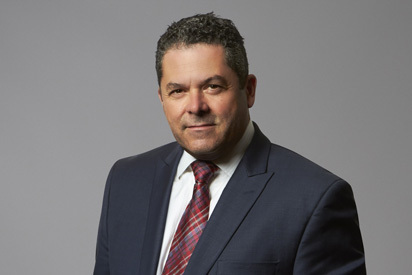 Raymond F. Correio is a senior associate with Pearlman, Borska & Wax, specializing in all aspects of workers' compensation litigation from case inception to trial and appeal. 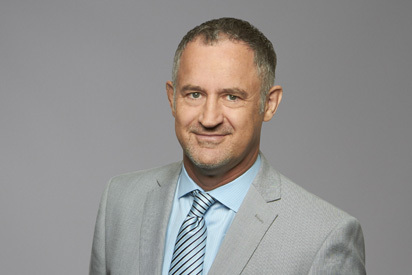 Before joining the firm, Ray was a Workers' Compensation Administrative Law Judge assigned to both the Santa Monica and Marina del Rey District Offices for approximately twelve years. He retired in September 2009. Prior to taking the bench, he was with his own firm, Correio, Wai & Connor. -On June 19, 2010, he was on a panel to help train 250 physicians on apportionment at the CSIM (California Society of Industrial Medicine) seminar in San Diego. -He has been an invited speaker on a variety of topics by both the California Workers' Compensation Defense Attorney's Association and the California Applicant Attorney's Association. Howard Daniels-Stock is a senior associate with Pearlman, Borska & Wax. He joined the firm in 2008 until 2010. He returned to the firm in September of 2011. His early legal career focused primarily on the practice of personal injury, handling cases from beginning to end, inclusive of appellate work and jury trials. Since 2001, Howard has dedicated himself exclusively to the practice of workers' compensation law as a representative for the defense. Brian Dreyfus, a senior associate with Pearlman, Borska & Wax, has been practicing exclusively in the area of workers' compensation defense since 1999. Brian specializes in the defense of workers' compensation claim and other employment law related issues. Brian has experience working with school districts and the Joint Powers Authority. Brian takes pride in helping the education system. Alexandra Dunlevy is an associate at Pearlman, Borska & Wax. She has specialized in the defense of Workers' Compensation since 2010. She is fluent in French. In her leisure time, Alexandra enjoys spending time with her husband and children. Gelareh Fassazadeh, an associate with Pearlman, Borska & Wax, began her legal career representing clients in criminal and personal injury cases. Currently, Gelareh's practice focuses on all aspects of Workers' Compensation defense claims. During law school Gelareh participated in internship programs with the District Attorney's office, as well as the Public Defender's office. She received a CALI Award in Mediation and currently holds a Mediation Certificate.